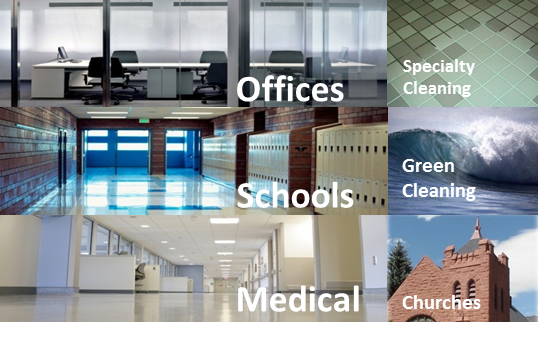 Our Company offers janitorial office cleaning services based on the needs of each client. The frequency of service depends on the type of business and the amount of traffic in the building. We may recommend frequency of twice per week, three times per week, 5 times per week, or 7 times per week. Our staff is professionally trained. We use a telephone timekeeping system, which tracks their work time and alerts us of any no-shows. This helps us to monitor your account closely.